The Driver's Village dealership group in Syracuse, N.Y., takes steps to limit its purchases of special-order parts. Just five years ago, Stephen Snow recalls, Ford's F-series pickups offered three choices of batteries. Today, says the parts director at Northstar Ford- Lincoln in Fort McMurray, Alberta, "you're looking at six, based on what the option packages are." The F series, bristling with technology, has a wide array of options. But it isn't an exception: Since 2012, estimates Michael Czach, the global strategy and planning manager of Ford Motor Co.'s customer service division, the automaker's parts numbers have increased by 15 to 20 per cent. Ford isn't alone. Even as automakers generally seek to limit their parts numbers, many have grown anyway. As factories also toughen their rules for returning parts, dealerships must plan their orders ever more carefully to prevent expensive bloat in their inventories, especially for special-order parts. Several factors account for the increase in parts numbers, car company officials and dealers agree. These include the need for new powertrains and lighter parts to help automakers meet federal fuel economy rules, which President Donald Trump has vowed to roll back. Consumer technology also is a major driver of growing parts numbers. Most automakers have stocking programs for the parts that dealerships need most frequently. They keep track of the most demanded parts from logged orders and even lost sales among dealerships. 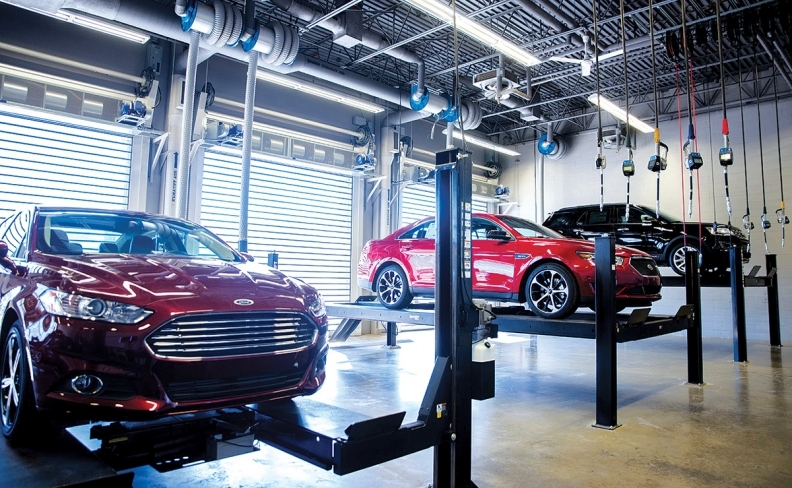 In-house stocking programs include Fiat Chrysler Automobiles' Automatic Replenishment Ordering system, Ford's Top 300 and PartsEye — a third-party vendor that manages parts stocking for Nissan, Kia and Subaru. Most of these systems allow free returns of unused parts that automakers have recommended. Others tie parts returns and stocking levels to bonus cash and traditional — if decreasing — return allowances. 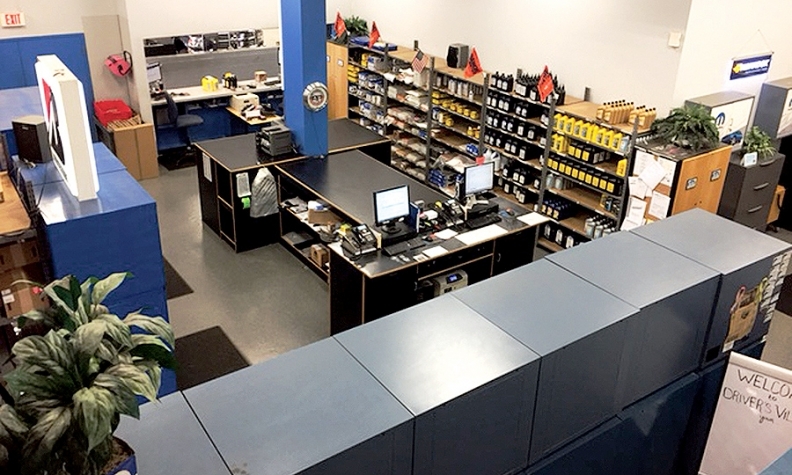 The service department at Northstar Fod in Fort McMurray, Alberta, tracks lost sales to help decide which parts to order and stock. Special-order parts that generally are not needed in large volumes fall outside recommended stock. Some automakers permit returns of these parts only through prescribed allowances or reimbursements for scrappage. Many specialized and costly collision, interior and electronic parts fall into this category. Special-order parts can account for 20 per cent or more of a dealership's monthly parts sales, says Jim Richter, a fixed operations consultant with M5 Management Services Inc. in Pelham, Ala. But they also create financial risks for parts managers, Richter notes, because dealerships must pay for such parts upfront. That policy change "means we need to be very astute businessmen," says Don Schick, parts director for Driver's Village dealership group in Syracuse, N.Y., which sells 21 brands. Northstar Ford's Snow says he instructs his employees to log every lost sale in the dealership management system when they look up a part, even if a sale is unlikely because of cost or customer distance. Just one or two calls for a part may indicate demand, informing the parts department's stocking forecasts and determining whether a part is needed. Such information helps Snow decide what to order and stock, he says. "Those lost sales are building hits," Snow says. "They're calculating data for us." Rick Heronime, COO of Dealership CSI, a parts and service consulting firm in Rancho Santa Margarita, Calif., notes that dealership management systems "have a great special-order management function built into them, if we use it properly." But many parts departments don't train counter workers in these features, he says. Driver's Village operates a large collision center that buys parts wholesale. A replacement quarter panel is an expensive part that could consume a big chunk of a dealership's return allowance. After several quarter panels were returned in 2015, Schick says, he required parts employees to look up previous orders and returns and discuss them with the body shop. "I want my guy to communicate with the estimator and the parts liaison and ask, 'Are you sure you're going to need that? Because the last two times, you haven't,'" Schick says. "Communicating with the estimator upfront can avoid a return." For customer-pay repairs and parts counter orders, Schick advocates prepayment. Service writers need to ensure that warranty customers return for parts to be installed, he adds, by confirming appointments before placing warranty parts orders and following up with customers who miss appointments. "If it's a warranty, we make the appointment ahead of time," Schick says. "That seems to help." Schick compiles a daily report on special-order parts and shares it with the group's service directors and advisers. The reports include details of which special-order parts are lagging on installation or unused — another reminder to get customers in and work completed. The parts director also posts a report every month that breaks down the percentage of unused parts by service technician. That helps motivate techs to be more careful about the parts they order, Schick says. "If I show all the techs a pie chart, and 75 percent of the returns have one name on them," he adds, "that's a conversation starter." Schick keeps unsold special-order parts in distinctive bins. He reviews the contents of these bins each day with parts and service advisers. After 60 days, the parts in the bin are considered frozen capital. They are targeted for return or outside sale at a deep discount. Driver's Village maintains a parts inventory worth about $2.7 million, Schick says. Unsold "frozen" parts account for roughly 7 percent of inventory value, he adds. Consultant Heronime says a well-managed parts inventory consists of 80 percent regular-demand items, 8 percent special-order items and the rest in parts that will be automatically phased out as they reach the end of their life as regular stock. Maintaining these ratios requires parts managers to monitor inventory data constantly, especially the status of special-order parts, Heronime says. These tasks are even more crucial, he adds, as some automakers cut their return margins. Says Heronime: "You can't keep all this in your head or fly by the seat of your pants anymore."